Just avoid this hotel, they're not kind, they invoice any slight favour. If you arrive before check-in which is at 2:00 PM, they let you wait and even propose you a glass of water. The swimming pool is not worth, small,I was quite disappointed compared to the pics. I don't recommend it at all. You can find better for cheaper. Resort has different floors but no elevators but didn’t make known. If you have physical probleming climbing stairs, please don’t ever book here. It’s not as nice as the photos you see. We, a family of 5 went to another resort to stay and couldn’t get our money back as our booking wasn’t refundable. Stayed in the bungalow with three young children. They were very accommodating and offered us cots and extra beds at no extra cost. The place was cosy and clean and it was great having a kettle and fridge. Our second time staying here and it was once again a great stay. Clean rooms, friendly staff and lovely food at the restaurant. About a 15 minute walk to the beach where you pass a supermarket, restaurants and massage parlors. 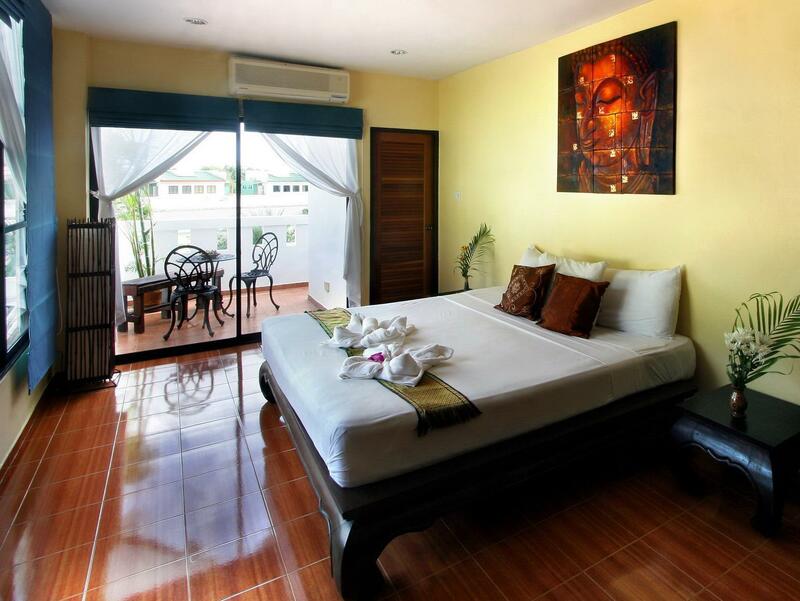 Very nice hotel not too far from Karon beach supermarkets and restsurants, it's cheap compared to service given. Swimming pool towels and bar restaurant available, room clean and enough big, staff qualified! Good value for money. The staff was very friendly with sorting out our ferry trip and offered alot of helpful advice. The breakfast is very good for the price. Close to the beach, but without being noisy and in the heat of it all. Easy to hire scooters from the hotel. Great pool. We were very happy we choose this hotel. The rooms, staff and service were all just great,nothing was to much trouble for them. The lounge are was a great place to relax, they have a pool table that is free and the swimming pool that was small but still very nice to relax in. Booked some good tours around Phuket with the friendly reception lady, would recommend. Had a great stay, room we booked was unavailable so were upgraded and the room was very comfortable. A little far from the main strip of restaurants(around 700m each way to the start of the strip) but the walk was nice. Owners and staff very friendly. The food was a little average and the selection limited but as it was low season I guess they weren't getting turnover to warrant having all the required ingredients. Enough other selection nearby that it wasn't an issue. Would stay again. Nice stop over for 3 nights! Enjoyed the time there, had a late flight out and were offered to use the shower in a room that was not used bevore leaving.very welcoming owners! Would defenitley come back! Stayed in the little bungalow and enjoyed the time there! Nice food too! 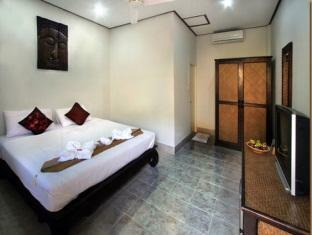 An amazing stay... Everything was perfect: good location, nice staff, comfortable room.. I'm working in the hotel industry and according to my experience I will definitely recommend this hotel... Thank you (owner of the hotel) for this memorable stay... Felt like staying at a home away from home! The hotel is comfortable and well decorated. The restaurant and pool area was great to relax, they had some nice couches to chill out on and good music playing all throughout the day. There is a free pool table in the restaurant area and a free to use computer. The room was a good size and the balcony had a nice view of the swimming pool. There is a gym 100 meters from the hotel and a 24 hour convenient store 150 meters down the road. The beach is a 10 minute walk through the town center, Staff are always smiling and very friendly, the manager was full of information, Would defiantly stay here again. Very happy friendly staff, lovely clean room and very good Thai food. Enjoyed our stay at the hotel very much, very happy we choose to stay here. Staff, room location and food in the restaurant were all very good. Would recommend renting a car or motorbike to look around the island as taxi prices are not cheap but vehicle rental is. Cool place to stay, had a nice lounge area where you can play some pool and drink a few beers. Swimming pool was great, had a deep end of about 10 feet. A 24 hour convenient store is located 2 minutes down the road. Staff were all real nice and helped me with rescheduling my flight. 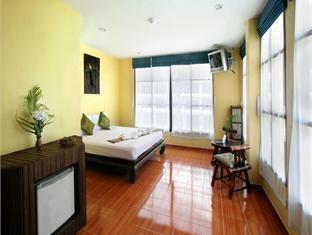 This hotel has a nice and friendly atmosphere, has large sunlit rooms with and most importantly, is very clean. It is about 15 min walk to the beach, but a scooter can be hired for 200 THB. Lots of restaurants nearby, so no problem eating out. All in all, a very enjoyable relaxing stay. Very satisfied with our choice to stay at this hotel, close to the town center but far enough away to insure of a good nights sleep. We had some delicious meals in the restaurant during our stay and spent plenty of time in the pool. 24 hour supermarket close by is an added bonus. I enjoy very much the friendly hotel people, they make me feel very welcome. To stay here same like stay at home. Room is good, food is good and swimming pool is small but good. Very good restaurant near to hotel called red onion, would also recommend. We stayed in a Superior double room which was excellent value, good size and comfortable bed. The room was very well cleaned, the pool area is lovely with the bar and lounge area next to it, happy hour available in the evening. 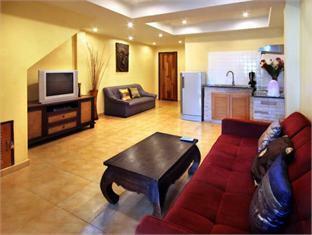 The location is a 15 minute walk to the beach and a 10 minute walk to the town center, all in all a good little find. 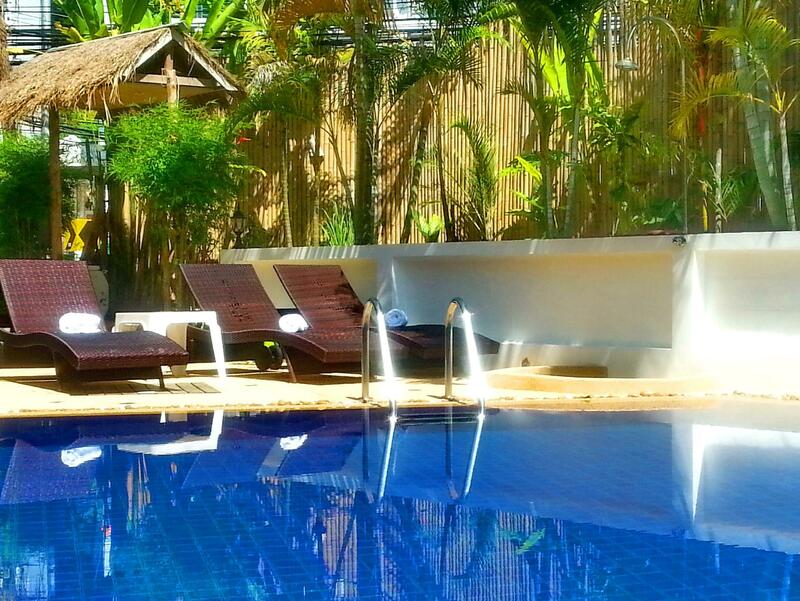 We were very impressed by this small hotel in Karon, 7 miles south of Patong, Phuket. The place is clean, pool is beautiful and a good common area. Staff is friendly and the area is quiet. 10 min to beach. 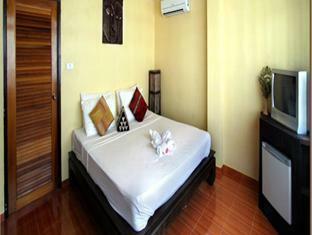 They also offer a 900baht taxi from the airport to the hotel that can be arranged by email. Take it!!! We arrived into Phuket Airport at 2AM, the driver was waiting for us with a sign and had the key to our room so that we could check straight in. After 10 years of staying in bigger hotels on Karon beach, this time i changed to a smaller and quiet hotel at the hillside of Karon. It was really a pleasant surprise for me how nice this little hotel was, also the hotel owner was such a lovely and helpful Lady. They have only 20 rooms at the hotel so it creates a very friendly atmosphere.